The city of Johannesburg needs new ways to properly manage general waste as it runs out of landfill space. In an effort to try and solve this problem the city, in collaboration with Pikitup, will host the inaugural Joburg waste summit on May 15 and 16 at the Sandton Convention Centre. The summit will focus on the diversion of general waste away from landfills through waste treatment technologies and recycling technologies. “Waste is a growing concern to all of us. We will involve big industries, communities and government to try and devise how we tackle this issue. “We want to reduce the amount of waste that gets to the landfill but that cannot be achieved without community participation,” Pikitup spokesperson Desiree Ntshingila said. The summit will also enable the city to present its new waste management strategy to all delegates; explore opportunities that flow from the implementation plan; and solicit support of this strategy from the waste management fraternity and communities. Ntshingila said: “Education is very important because many of our people dump and litter illegally without realising the dangers of it. Issues such as waste minimisation and recycling – which include the separation of recyclable waste at source, and waste treatment technologies such as waste to energy, composting, incineration, anaerobic digestion, gasification, mechanical biological treatment, plasma arc waste disposal, pyrolysis, UASB (applied to solid wastes) and waste autoclave – will be thoroughly debated. Last week a three-year-old baby, Jordan Louis of Cape Town, died after inhaling dangerous fumes from toxic chemicals which were dumped near her home. She and a group of friends were playing next to bags which were illegally dumped. Three policemen were also admitted to hospital after they inhaled the fumes when they responded to urgent calls from residents. But many farmers and crop experts argue that there is insufficient data. Fifteen countries voted in favour of a ban – not enough to form a qualified majority. According to EU rules the Commission will now impose a two-year restriction on neonicotinoids. The Commission says it wants the moratorium to begin no later than 1 July this year. The UK did not support a ban – it argues that the science behind the proposal is inconclusive. It was among eight countries that voted against, while four abstained. Wild species such as honey bees are said by researchers to be responsible for pollinating around one-third of the world’s crop production. There is heated debate about what has triggered the widespread decline in bee populations. Besides chemicals, many experts point to the parasitic varroa mite, viruses that attack bees and neglect of hives. After Monday’s vote the EU Health Commissioner, Tonio Borg, said “the Commission will go ahead with its text in the coming weeks”. Continue reading the main story What exactly are Neonicotinoids?Nicotine is not just lethal to humans in the form of cigarettes, but the chemical is also extremely toxic to insectsNeonicotinoid pesticides are new nicotine-like chemicals and act on the nervous systems of insects, with a lower threat to mammals and the environment than many older spraysPesticides made in this way are water soluble, which means they can be applied to the soil and taken up by the whole plant – they are called “systemic”, meaning they turn the plant itself into a poison factory, with toxins coming from roots, leaves, stems and pollenNeonicotinoids are often applied as seed treatments, which means coating the seeds before planting. Greenpeace EU agriculture policy director Marco Contiero said Monday’s vote “makes it crystal clear that there is overwhelming scientific, political and public support for a ban. An EU vote last month was inconclusive, so the Commission proposal went to an appeals committee on Monday – and again the countries were split on the issue. Some restrictions are already in place for neonicotinoids in France, Germany, Italy and Slovenia. The three neonicotinoids are clothianidin, imidacloprid and thiametoxam. A report published by the European Food Safety Agency (EFSA) in January concluded that the pesticides posed a “high acute risk” to pollinators, including honeybees. However, it added that in some cases it was “unable to finalise the assessments due to shortcomings in the available data”. There was ferocious lobbying both for and against in the run-up to Monday’s vote, the BBC’s Chris Morris reports from Brussels. Nearly three million signatures were collected in support of a ban. Protesters against neonicotinoids rallied in Westminster on Friday. Campaign organiser Andrew Pendleton of the environmental group Friends of the Earth said “leading retailers have already taken action by removing these pesticides from their shelves and supply chains – the UK government must act too”. Chemical companies and pesticide manufacturers have been lobbying just as hard – they argue that the science is inconclusive, and that a ban would harm food production. The UK government seems to agree with the industry lobby. It objected to the proposed ban in its current form. The chief scientific adviser, Sir Mark Walport, has said restrictions on the use of pesticides should not be introduced lightly, and the idea of a ban should be dropped. The EU moratorium will not apply to crops non-attractive to bees, or to winter cereals. It will prohibit the sale and use of seeds treated with neonicotinoid pesticides. And there will be a ban on the sale of neonicotinoids to amateur growers. There have been a number of studies showing that the chemicals, made by Bayer and Syngenta, do have negative impacts on bees. One study suggested that neonicotinoids affected the abilities of hives to produce queen bees. More recent research indicated that the pesticides damaged their brains. Occupational diseases cause huge suffering and loss in the world of work. While much progress has been made in addressing the challenges of occupational diseases, there is an urgent need to strengthen the capacity for their prevention in national OSH systems. With the collaborative effort of governments and employers’ and workers’ organizations, the fight against this hidden epidemic will have to feature prominently in new global and national agendas for safety and health. This report for the World Day for Safety and Health at Work outlines the current situation concerning occupational diseases and presents proposals for addressing this serious Decent Work deficit. “….Occupational diseases cause huge suffering and loss in the world of work. Yet, occupational or work-related diseases remain largely invisible in comparison to industrial accidents, even though they kill six times as many people each year. What constitutes an occupational disease? An occupational disease is a disease contracted as a result of an exposure to risk factors arising from work. Recognition of the occupational origin of a disease, at the individual level, requires the establishment of a causal relationship between the disease and the exposure of the worker to certain hazardous agents at the workplace. Health Organization PAHO/WHO or its country members”. Air quality in the Pearl River Delta improved last year, according to the latest regional air quality report, but concerns are mounting about the deterioration of roadside air in Hong Kong. The biggest improvement was in sulphur dioxide concentrations, which fell by an average of 25 per cent from 2011 levels. Respirable suspended particles – tiny specks of pollutants that can penetrate the lungs – fell 13 per cent year on year, while ozone dropped by 7 per cent and nitrogen dioxide by 5 per cent. Environment officials in Hong Kong attributed the decrease to “favourable meteorological conditions” as well as emission reductions. Last year Guangdong expanded the supply of cleaner petrol and boosted a clean-up at power plants and cement kilns, and in Hong Kong vehicle emission standards were tightened, officials said. According to the Hong Kong Observatory, last year there was 20 per cent less rainfall than normal, and 15 per cent less sunshine. The region also experienced its worst storm in years, when tropical cyclone Vicente swept into the city last July. Professor Wang Tao, an air pollution expert at Polytechnic University, said the news came as little surprise as pollution had been on a declining trend. He said the fall in sulphur levels could be due largely to a clean-up at mainland power plants. “It is very efficient to remove sulphur by as much as 90 per cent if scrubbers are installed,” he said. Officials said accumulated improvements in air quality ranged from 17 to 62 per cent since 2006, the first full year air data became available under a cross-border monitoring network comprising 16 stations on building roofs. Despite the improvement, a local clean air advocacy group remained deeply worried about air quality at street level. “The continuing improvement to the regional air quality is in stark contrast to Hong Kong’s deteriorating roadside air pollution, in particular nitrogen dioxide,” said Kwong Sum-yin, of the Clean Air Network. Earlier this month, Hong Kong recorded one of its worst roadside quality readings, with the air pollution index soaring to more than 210 in Central. Kwong urged the government to speed up a phase-out of dirty diesel trucks. Some HK$10 billion has been earmarked to compensate truck operators under a plan to remove up to 88,000 trucks from the streets by 2019. Whether in SWC or Tsang Tsui the incinerator will still kill and maim people downwind of it. I refer to Martin Williams’ letter (“Mega incinerator project being driven by vested interests”, April 26). Any fact-based analysis would conclude that any new waste-treatment technology should be located in Tsang Tsui near Tuen Mun, not Shek Kwu Chau. Locating a massive incinerator using a polluting sunset technology in Shek Kwu Chau represents the worst combination of technology choice and site selection. The Environmental Protection Department has never presented the public with a comprehensive comparison of the two sites. The data it did present was biased, describing only the advantages of Shek Kwu Chau, without doing the same for Tsang Tsui. Any objective comparison clearly shows Tsang Tsui to be the better choice for environmental, economic, engineering and technical reasons. Two consultants engaged by the department studied the feasibility of both sites. Even a layman can see from the consultants’ reports that Tsang Tsui is the better site under five criteria: engineering, technical, economic, less ecological impact and more efficient land use. Only one factor favours Shek Kwu Chau: lower transportation cost. Both sites were rated the same under air quality, noise, landscape and hazard. Construction of an incinerator in Tsang Tsui would cost 26 per cent less than in Shek Kwu Chau (September 2011 prices) and be completed two years earlier. Land reclamation, seabed dredging and cable laying to create the infrastructure in Shek Kwu Chau will impact fisheries and wildlife habitats. The Tsang Tsui site is ready in situ among existing waste-treatment facilities. Tsang Tsui’s location offers land and sea routes to transport waste to the incinerator and remove ash to the nearby landfill. This information was presented to the department in the consultants’ reports but not shared with the public. The department belatedly introduced a new criterion, “balanced spatial distribution”, for choosing Shek Kwu Chau. Since Tuen Mun already has waste-treatment facilities, officials felt they should be spread around the rest of Hong Kong. This is precisely what Lau Wong-fat, Heung Yee Kuk chairman and Tuen Mun district councillor, said on January 30, 2008, the day after the consultants hired by the department, Camp, Dresser and McKee International, issued a report giving Tuen Mun the highest rating as an incinerator site. Mr Lau was reported to have said that the Tuen Mun area already had a power plant and landfill. He argued that the government should pick another spot for the incinerator. Four years later, the department picked Shek Kwu Chau. Copyright 2013 South China Morning Post Ltd. 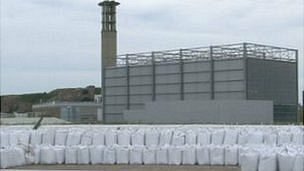 Toxic ash created by burning rubbish in Jersey’s energy from waste plant can now be shipped to the UK for treatment or disposal. The UK Department for Environment, Food and Rural Affairs (Defra) has issued the States with a licence to transport the waste material. The States has gone out to tender for a company to carry out the work. Other non-toxic ash is being tested to see if it can be recycled and used as a building material. The ash is created by burning rubbish at La Collette and the toxic or fly ash is separated and is currently being stored in sealed pits. Deputy Kevin Lewis, Transport and Technical Services Minister, said the ash would be “exported then made safe“. He said the process was “not cheap”, but probably ran into hundreds of thousands of pounds and his department had the budget for it. There were quick responses to R. E. J. Bunker’s letter on marine accidents, which he believes would become more likely with barge traffic to and from the planned Shek Kwu Chau waste incinerator (“Incinerator will raise risk of collisions”, April 11). Elvis Au, an assistant director of the Environmental Protection Department (“Traffic generated by waste management facility will be light, April 17) assured readers that marine transportation will continue to comply with safety measures. He blithely ignores the fact that even with these measures, there have been recent accidents, including the collision between a Cheung Chau passenger ferry and a barge. But then, in his role as front man for the mega incinerator project, Mr Au is adept at ignoring information that suggests it will be anything but glorious. At a public meeting last December, I remarked that incineration results in emissions of poisonous chemicals and toxic ash. Mr Au responded that my information was 40 years out of date – suggesting he was badly misinformed, as there are a host of reports and studies on recent health issues with incinerators, including in Macau. Mr Au also boasted that he is an engineer, and would not do anything to harm people’s health, which to me is like a doctor promising that a bridge will not collapse. Along with colleagues, Mr Au has been dismissive of alternatives such as zero-waste strategies and plasma arc technology. The reasons for such obduracy are hard to fathom. In the course of two years opposing the mega incinerator, I have noticed that the only strong support comes from people and businesses that are involved in the project, or are set to benefit from the HK$23 billion that will be spent on the incinerator island and the associated work on extending the life of landfills. Oliver Lam, of Lam Tin – well removed from Shek Kwu Chau – wrote of our need for advanced incinerators, which “can hardly cause any damage to people” (“Why we now need modern incinerators”, April 16). In Mr Lam’s view, the Shek Kwu Chau site was proposed after a “prudent, detailed investigation conducted by professionals”. Yet, in reality, the original preferred site was near Tuen Mun, until politics intervened. Solutions to the waste problem are indeed required. But these should be based on science and common sense, not driven by politics and vested interests. Is Air Pollution Contributing To Hardened Arteries? Smog and car exhaust can take a toll on the heart, and the latest research explores how. Previous studies have shown an association between badly polluted air and a heightened risk of heart attack stroke, and researchers have started to investigate how pollutants could exert such harm. Some have documented the increased inflammation that pollution can trigger, as well as changes in blood pressure and the activity of clotting factors in the blood that could promote heart heart disease. The latest research, published in the journal PLOS Medicine, found that exposure to air pollution may increase heart attacks and strokes by accelerating the process of atherosclerosis. Researchers from the University of Michigan School of Public Health and the University of Washington followed 5,362 people between the ages of 45 and 84 from six regions in the U.S.: Baltimore, Maryland, Forsyth County, North Carolina, Los Angeles County, California, Northern Manhattan and Southern Bronx, New York and St. Paul, Minnesota. The participants were all part of the Multi-Ethnic Study of Atherosclerosis and Air Pollution and none of them had heart disease at the start of the trial. To determine the amount of air pollution to which the participants were exposed, the researchers created models to estimate the particulates in the air in and around the volunteers’ homes, using information from the Environmental Protection Agency’s air quality readings, as well as data that took into account density of car traffic, roadways and other sources of pollution near the people’s homes. The scientists also used ultrasound to measure blood vessel characteristics both at the beginning of the study and again three years later. After accounting for behaviors like smoking, which can independently affect heart disease risk, they found that the thickness of the carotid arteries that supply blood to the head and neck increased by 14 µm each year. Participants who were exposed to higher levels of air pollution in their home had blood vessels that thickened faster compared to others living in their area with lower exposure levels. Thickening of blood vessels is a sign of hardening of the arteries, as inflammation lures in clotting factors and other immune agents to patch up worn areas; as these compounds build, the vessels stiffen and thicken, losing their ability to flex and adjust to the varying levels of pressure created by the blood flow. High levels of a fine air pollutant called PM2.5 was specifically linked with faster thickening of the inner two layers of the carotid artery, a vessel that serves as a sentinel for the state of other arteries throughout the body. However, the study also showed that if levels of PM2.5 were reduced in the participants’ homes, the pace of thickening slowed. “Linking these findings with other results from the same population suggests that persons living in a more polluted part of town may have a 2% higher risk of stroke as compared to people in a less polluted part of the same metropolitan area,” said study author Sara Adar, a John Searle assistant professor of epidemiology at the University of Michigan School of Public Health in a statement. The researchers say that understanding the pathway of PM2.5 and how it influences hardening of the arteries will help future studies investigating how air pollution affects heart disease. Previous studies have linked car pollution to a higher risk of childhood cancers and even autism. And a study published last year even found an association between an expectant mother’s exposure to pollution during pregnancy and obesity in children. The researchers found that higher levels of polycyclic aromatic hydrocarbons (PAHs) which are present in cigarette smoke and car exhaust, in the mother’s blood during the third trimester can disrupt hormones that regulate growth and development. While these studies all highlight associations, and not causal relationships between pollution and health risks, they point to potentially harmful exposures that could trigger damaging physiological changes. They are particularly concerning since many people can’t avoid exposure to pollutants, particularly from cars, so public health experts recommend focusing on heart disease risk factors that are in people’s control — such as not smoking. We can’t chose how many pollutants we breathe in from car and industrial exhaust, but we can avoid exposing our lungs to the pollutants in cigarette smoke. Hong Kong recorded more than twice as many hours of very high roadside pollution in the first quarter, blaming an increase in sunshine for contributing to the smog in the city’s financial and shopping districts. Roadside monitors recorded 1,372 hours when the pollution index exceeded 100 in the first three months, compared with 580 hours for the same period in 2012, data compiled by the city’s environmental department show. There were 180 more hours of bright sunshine, a 78 percent gain from a year ago, according to Hong Kong Observatory’s data. Emissions from Chinese factories across the border and old vehicles in the former British colony have choked residents this year as slower air flow trapped pollutants. Hong Kong Chief Executive Leung Chun-ying is offering HK$10 billion ($1.3 billion) in subsidies to replace old diesel vehicles after a government audit last year showed that the city’s air quality has worsened since 2007. “The weather in the first three months of 2013 was drier and with a lot more sunshine, which was more conducive to photochemical smog formation,” the Environmental Protection Department said in an e-mail response to queries. The roadside monitors were measuring air quality at Central, Mong Kok and Causeway Bay. The index has a range from 0 to 500, with readings above 100 classified as very high pollution. The government’s failure to retire aging buses and trucks is a key cause of pollution that results in more than 3,000 premature deaths a year, according to think tank Civic Exchange. The average wind speed fell 13 percent in the first three months from the same period a year earlier, data from the Hong Kong Observatory show. The rising number of vehicles plying the streets haven’t helped. Licensed vehicles climbed by 4.1 percent as of January this year, compared with a year ago, the latest data from the Transport Department show. Hong Kong is also working with the government in Guangdong province, which borders the city, to reduce emissions so as to cut the regional ozone level, the environmental protection department said in its statement. The Chinese city will raise its standard for measuring air quality for the first time since 1987, using World Health Organization measures as a reference, it said last month. It’s telling that when a district scheme to recycle food waste succeeds beyond expectations, the organisers still struggle with excess. About 550 households signed up when the Cheung Chau Island Women’s Association’s project began in August. Now enthusiastic volunteers turn up daily to help transport tubs of kitchen waste from two collection points to a community facility, where the material is sorted and turned into compost. The problem is, there’s more food waste than they can handle, says project manager Kwok Wai-man. “We receive 250kg of leftovers every day, but the [composting] machine can handle only 100kg, so the rest has to be thrown away,” Kwok says. Hong Kong’s mounting waste disposal problems, aggravated by a throwaway culture, are well known. Less understood is how food waste now makes up as much as 40 per cent of the material dumped in landfills every day (about 3,500 tonnes). Worse, discarded food accounts for a rising proportion of the solid waste from households, rising from 37 per cent in 2002 to 42 per cent in 2011. Disposal industry veterans trace the surge in food waste to 2006, when officials began phasing out pig farming in the wake of the Sars outbreak. In the past, operators would collect scraps from restaurants and other food business for resale to pig farmers as swill for the animals. But with the sector reduced to 43 farms from 265 in 2006, “all the swill has nowhere to go, and Hong Kong is stuck with mounds of kitchen waste”, says Wong Yuk-chun, of waste-processing company Kowloon Biotechnology. Ironically, only a tiny fraction of that excess is channelled to food waste processors, leaving them with plenty of idle capacity. Wong reports a similar excess capacity, even though he has contracts with the Four Seasons Hotel, the Airport Authority, City University and the Bank of China. As the two operators see it, food waste processing is hampered by fuzzy and outdated regulations. Ngai, whose centre mainly processes waste into pig feed and compost, says anyone with a business registration can collect food scraps. But unscrupulous companies have been selling feed that hasn’t been properly processed. This has made pig farmers wary of buying from local suppliers, so “Now I have to give our feed to farmers for free for them to try,” Ngai says. Wong needs three licences for his plant in Lau Fau Shan, which now converts food scraps into fish meal – one to operate the heavy machinery required to dry the animal feed, another to discharge effluents and the third to operate an “offensive trade”. According to the Environmental Protection Department (EPD), anyone wishing to operate a food waste recycling or composting business is informed about requirements which may include obtaining an Offensive Trade Licence and an effluent discharge licence granted under the Water Pollution Control Ordinance. However, Ngai suggests the licensing requirements are behind the times. Officials have not issued an offensive trade licence to food waste processors for two decades, he says, and no one would qualify if they applied now because the criteria have not been updated since the 1970s. Another barrier to environmentally friendlier disposal of food waste may be a lack of financial incentives for catering businesses. Ngai says the government should offer rebates to businesses that send their waste to proper food-recycling ventures. Hong Kong has failed to make much headway against waste disposal problems. Of the city’s 13 landfills, only three still operate, and the last is due to close in 2018. The government has proposed remedial measures, including a plan to build an incinerator on Shek Kwu Chau, off Cheung Chau. But residents and green groups have opposed the proposed incinerator as an environmentally backward measure, and the decision on a court challenge is pending. Two bio-waste recycling centres due to open in the coming years – at Siu Ho Wan on Lantau (next year) and at Sha Ling in the Northern District (2016) – will ease some of the disposal pressures. They have a combined capacity to convert 500 tonnes of food waste into compost or biogas. Transforming food waste into methane for power generation should be the way of the future, says Ma Yiu-wa, a water and energy consultant at the Hong Kong Productivity Council. “Hong Kong cannot absorb that much compost, as we do not have a thriving agricultural industry, and we would not be competitive if we tried to export it,” he says, adding that the government should also explore decentralised approaches in which biogas made from leftovers collected in an estate can be used for cooking at nearby restaurants. But in converting organic waste into biogas, Hong Kong must adapt methods to suit its specific circumstances, says Professor Johnny Chan Chung-leung, City University dean of energy and environment. “The nature of our leftovers is different from that in other countries. Western leftovers do not contain as much rice or sauce, so we need to identify different bacteria for fermentation,” Chan says. There are other uses for food waste. City University has developed ways to turn it into succinic acid, a solvent used in making plastic, detergent and paint. Ngai says his development team has produced biodegradable cat litter from soy residue, which could be flushed away, and other leftovers can be turned into flower pots and even food containers. For Wong, however, the best use for food waste is making fish meal, a mere 10-hour process. “Hong Kong absorbs more than 10,000 tonnes of fish feed every year. There’s a big market out there,” he says. Chan says only when the government starts charging for waste disposal will there be a solution. Such services need to be paid for, and the fees would also reduce waste. “All my friends living overseas are surprised to learn that we dispose of our rubbish without paying a cent. Environmental businesses must have government support,” he says. Simon Wong Ka-wo, president of the Federation of Restaurants and Related Trades, concedes environmental protection isn’t a high priority for the industry. For now, the EPD has no plans to introduce tax rebates for waste processing, a spokesman says. Instead, the government aims to reduce waste through its Food Wise education campaign. It has also backed community efforts through the Environment and Conservation Fund, which has approved grants for about 110 projects. On Cheung Chau, women’s association CEO Lee Kwan-chun, says their recycling project, a fund beneficiary, has helped people realise how much food was going to waste. About 5.5 per cent of residents signed up, and it was only after they began sorting the rubbish that residents understood the extent of the problem. The island community had an incentive for supporting the project, Lee concedes.